Nuxeo’s cloud-native content services platform supports the creation, management, and distribution of all digital assets across the enterprise, and helps organizations drive digital transformation to grow revenue, improve performance, and maximize investments. "Great experience using Nuxeo for Cloud platform"
Nuxeo is good at adopting to the latest market trends like supporting Cloud platform . Quick in adding new features and providing the simple documentation . Technical documentation about product or its features limitations . Just java doc is available, it would be great, if it comes with more samples . It would be great, if considering the backward compatibility and maintain minimal migration . It supports full text search not exact search. Able to change from complex work flow to simple workflow. Able to connect our Multifunction Peripherals and Information Display Panels. Able to search the document content with the help of elasticsearch which is very fast and reliable. 1) The freedom to create your custom document types and the ability to inherit custom object models. 2) We can customize almost anything in the platform ranging from ACLs to the custom operations and the platform itself, and then deploy it as a plugin. 3) The CSV Bulk import Feature to bulk load data into Nuxeo. The number of Hot fixes that Nuxeo gives leads to inconsistencies in the earlier developed code in some scenarios. We are using Nuxeo to create our custom document types and store such documents for a particular period of time into it. We have created our custom object for this purpose - for various document types. We are also creating our custom operations, page providers and listeners in Nuxeo along with the out of the box scheduler. What Enterprise Content Management (ECM) solution do you use? "Nuxeo- A cake walk for storing documents"
1)Nuxeo database support- NoSQL,SQL like Marklogic ,Oracle which is feasible to fetch documents in various ways of querying. 2) Any changes made to the data within the platform is recorded in terms of audits. The audit logs can be configured in such a way to get details of every attribute modified. 4) The Bulk importer API for importing a large amount of records in a very short span of time. A large amount of data is loaded efficiently. 5) Ease of Permission changes and assigning to various users and user friendly. One good way to secure your data. 1)Scheduler is sometimes inconsistent when given for a short time interval. The event does not get triggered due to dependency on the database it is configured to. 2)When any database id down to which it is configured, its impossible to restart the server. 3) The page provider has issues with the case sensitivity. Sometimes the attribute does not accept an upper case value. Yes if you have various types of files to be attached and have millions of records to be stored. 2) Scheduling the jobs to perform various operations on a daily basis. 3)import documents into the platform by reading a flatfile and attaching a document to the same. 4) Page provider to fetch the count of documents satisfying certain criteria. 5)Server side code for a listener to update the document by querying the Elastic Search for existence of a particular attribute. Nuxeo allows user to have a flexible search option, for the content stored, and an ease in retrieval of the same. It also allows user to add some metadata, to the content stored, making the retrieval easy and faster. It comes with out of box features, to fetch the data, and use data manipulation language, making it even better than Big Data. It is preferred, only if the amount of data to be dealt with is small. The setup of Nuxeo is very complex, thus requiring a skilled engineer to do so, or else the installation may consume a lot of time. Here the backend storage is Marklogic, making it database dependent, and thus putting a constrain on moving the data. This makes us bounf to one data storage tool. Also it the data to be dealt is increased, the efficiency of the tool decreases. If the amount of data to be dealt with is less, we can always go for nuxeo. We are using Nuxeo for the data storage, and retrieval, as it is quite robust in performing these actions. Also as the data is stored in Nuxeo, we treat it as the top most data storage layer. "Nuxeo : Documentum for NoSQL"
Increased variety of datatypes, we use chats, mails, fax, documents, metadata of those documents etc which helps us a lot. The dynamic datatype feature as well. It can be configured with different DBs other than the one which it has is also a great feature. The Nuxeo studio is the most fascinating part. It is by far the best configuration tool I have seen. Branch management and smooth deployment . When we upload a new file and try to fetch the results immediately from frontend, It takes some time to give the result. We found that it is because it takes some time (<1sec) to index the files. Hence when we call immediately from js we get a blank response if promise not used. Nuxeo is used for flexible search in our data. We prefer this over other available databases as the advance search option provided out of box, or we can say is an inbuilt feature of Nuxeo, are very robust and efficient. Here say if we have small amount of data to be dealt with, there we can easily use Nuxeo Studio. Also the major advantage of using this tool is that we can fire SQL like queries to fetch the data, which provides an ease to the user for data retrieval. The major thing which creates a problem for a user is the setting up of nuxeo studio on the machine. The setup is very complex and should be done with very precision. So it is expected that one should have proper training before setting up Nuxeo, or else debugging the problem for the failure of setup is very difficult. Also here we have Mark logic as the back - end storage which stores all the metadata, which puts a constrain by making it database dependent. I would recommend nuxeo for small amount of data retrieval, as if works good with less amount of data, and is not very efficient with bulk data. Here we are using Nuxeo to store all the content that belongs to the metadata, which is stored in Mark Logic at the end of the day. As it provides ease in search, so we prefer storing our content on Nuxeo, thus making it as the top most layer for data storage, and having the metadata in Mark Logic. Here we are able to fire SQL like queries to retrieve the data in a robust manner, thus being the Hot archival storing the latest data, and after a specific span of time this data will be moved to Big data storage. Nuxeo allows user to have flexible search option and making advance search option very easy. It also allows to add metadata to each thing being loaded, which helps in further retrieval. Better than Big data, data manipulation language, as it provides an ease of management, with the inbuilt features provided. Nuxeo setup is very complex, and should be done very carefully and precisely, thus requiring proper training. We can have mark Logic as the data base, which does not provide flexibility, to store data anywhere else. So we are bound to one data storage tool. For less amount of data, Nuxeo is preferred, for fast retrival. Here for us Nuxeo serves as the top most layer for the data storage which can be captured in a very roboust manner and the retrieval of the same is done on real time. Here we have Nuxeo as the basic object model and the actual data is stored in a back-end database configured by marklogic. So the actual data i.e., the content is stored with nuxeo but metadata i.e., the CSV related to that content goes to marklogic. It is very easy to use the NUXEO API to perform any functionalities. Nuxeo API's are very easy to use compare to other ECM tool. This is better than any of the other software specially the databases, because here we have the liberty to make our own document type. And its has its own version manager so that you can actually go inside this and check the documents whether the data uploaded is different or same in two different versions. Nuxeo studio is paid. and we are not able to exploit all the facilities which are available in platform. Because the Studio has its own limitation and all the features that are present in the platform are not available in Studio customization option. Go for it. It is a very good content management tool to store record. The security of nuxeo is very good. You should use this. Thumbs up for nuxeo. We are using NUXEO as a hotstorage to store the data(Email, Fax). So that the CRUD operations can be done quickly. Specially the quick retrial part. "The best content management tool"
The option to compare the different content files like pdf is appreciated. Also, the Nuxeo studio which provides a GUI to customize the Object model and helps us download a jar that can be deployed onto the platform providing a customized view. The Nuxeo Platform can also be scaled horizontally and multiple databases can be configured with it. The integration of Nuxeo with mark logic is a little difficult thus resulting in crashes. Also, this is a paid version. We had a requirement for quick archival and retrieval of data and content for which we've used Nuxeo. Using nuxeo was the best decision taken because of its varied options and the ease to use it. Also, the benefits of easy retrieval of records. Data retrieval is very easy using Nuxeo as compared to other products available in the market. Using Nuxeo we can have flexible search options, and also making advance search options very easy. It comes with a lot of inbuilt features to solve the daily needs of data retrieval. The Nuxeo in built OOTB scheduler helps us to schedule the server side jobs without external aid which helps a lot with time management. Few of the dislikes about nuxeo could be considered the complexity of setting up the Nuxeo studio. It is very complex and requires a lot of precision for setting up the same. Also one of the drawbacks is that it uses Mark Logic as its back-end storage, which does not provide flexibility in storing and retrieving data on different platforms. As a person who needs to store data which need to be retieved in a regular interval, nuxeo is a life saver. Nuxeo acts as the top most data storage layer and we consider it as hot archival, as it provides an ease in retrieving any kind of complex data in a very robust manner in real time. Here we are having the actual data stored in nuxeo and the metadata for the same is stored in Mark Logic, acting as the back-end storage for the same. "Features and Advantages of content management tool Nuxeo"
It is very easy to use Nuxeo content management tool to perform lots of functionality easier than any other content management tool because Nuxeo provided Api is very easy to use and very rich with all advanced feature.Here we can make our own object type which is a good feature and we can define our schema,the relation between them and much more. Nuxeo allows user to have flexible search option and advanced search option. Automation feature is also provided we can add this feature for the specified schema which can reduced our effort for some of work. Horizontally scaling is also possible here.The Nuxeo university we can learn each and every feature which make easy to use nuxeo and besides that a proactive nuxeo team is there which will help you with any concern. You can add some kind of branching feature for project which is not there in nexeo by default and as studio is bit complicated and paid also so exploring all features which are available in platform is bit difficult. Nuxeo is using marklogic as its default data base which is quite complicated and not provide more flexibility than other DB.It's better to have flexibility in storing data. In our project we are using Nuxeo as the hot repository where we are storing the document like(Emil,fax and chats) in the database marklogic whic is used by nuxeo and retriving the document by using elastic search and doing different crud operation in real time. I like the versatility of this Software, It does not have a restriction like oracle, where we have defined set object model that we can use, we are like king of our data. I can actually go ahead and make a object type which suites to my needs. How I want the schema, the relation between them and much more. And everything that you need is just on your clicks. Its such a user friendly GUI where a novice can go and write the object model of his requirement. And then we have the flexibility where I can go anywhere and just with a click I can download my requirement from the site and deploy to the platform. The API's are a bit trick and the default database that is DB2 I suppose is easily configurable but it has some limitations like I can search through it with ease. And the NXQL I feel is not mature enough. This is a very nice implementation of the ECM. We had a requirement to store the digital assets of our client, and that too, with a very old type data they had, so we needed a customizable ECM tool which can handle the requirement that we had. So As a trial we chose Nuxeo. I like that the Nuxeo platform can be extended by writing plugins and extensions. I have written a number of plugins using Eclipse IDE and I would say it is not complicated at all. The online studio is very very helpful in customization of the UI and schema. Also the idea of having automation chains is brilliant. I also like the support they provide and the enthusiasm the Nuxeo team has to understand and solve our issues. I would recommend Nuxeo to anyone who is looking for a flexible yet robust CMS. We are using Nuxeo as a Content Management System to store metadata for media files. The organization of content in the document model that Nuxeo has was very useful. Also being able to have our own document types, schemas, operations and plugins made it very easy to use Nuxeo as the solution for our requirement. Thanks for writing a review! Regarding Nuxeo Studio branching, we added this in FT 8.2 which is included in Nuxeo Platform LTS 2016. More information on our released and planned features can be found at roadmap.nuxeo.com. 1. Nuxeo's nature to adopt to new market trends- For example it supports cloud. 2. The support for various kinds of data. 3. Easy set up process. 4. Search functionality. - it is integrated with elastic search. 5. Out of the box feature for scheduling, event handler and listeners. 2. Nuxeo studio can not be used without licence. 3. For understanding it takes time for administrator, and there are a huge bunch of documentation. To become a master it really takes time. Should be used for ECM. Nuxeo is being used as a cold archieve for us. We are storing email,chat and fax in Nuxeo for 3 months. This is decided for its fast retrieval . And after 3 months data are moved to another plat form using LCM job(LIfe cycle Management). Which picks data based on dates. Open Source Product with features to change on our own. Flexible to be imlpemented on our own. It has lot of API's to work with which helps in customisation of the tool according to the customer needs. We can customise the NoSQL database as well with Nuxeo. We are using MarkLogic. Features are missing like Connection Pooling etc. This needs to be developed. Also the bulk loading has to be developed for easy migration of documents from other products to Nuxeo. This is a good product which even has features to search document through its indexing capabilities. The team needs to put more effort in making it robust in all manners. ECM Product to replace Documentum. It is cheaper than the license cost for Documentum. This helps in bringing down the total TCO for the bank of maintaining their ECM product. "The Only content management that keeps you content." The first thing I like the most is the Nuxeo Studio. Seriously you can make the changes in the Object online, and that too from anywhere in the world. Just make changes in the model and download the jar and you are literally free to use that jar on any platform that is available, So its a virtually freedom of your schema and doctype to be accessible form any part of the world. I don't have anything that I dislike about the product, Its more than expected. Close your Eyes and have a copy of the software , you wont regret in your life. The problem was we were trying to create a database where we can have the structured as well as the unstructured data stored at one place with the query console to access the same. And both were possible using nuxeo. "Using nuxeo as multichannel publishing system in a press company"
We have enjoyed the nuxeo studio : it has been of a great help, and as allowed to keep the project easily maintainable and to deliver in time and budget planned. Nuxeo has a huge learning curve. I would have prefered a default end user client built with another presentation layer than seam / jsf (ie : a client that would more take advantage of the rest API). But It was not a problem, because almost everything is configurable via XML contributions or nuxeo studio. I would have also prefered a built based on gradle instead of maven but it was also not a problem. We were able to build a multichannel publishing editorial system in time and budget with nuxeo. We now have a product that perfectly suits our needs, better that any other press company targeted publishing system "on the shelf". "This is where we can stop and rely for a content management." The most exciting feature of Nuxeo is the way it is built. And the way it can handle whatever type of data you have , it can accommodate. There is nothing you will dislike when you will work on this software. We had a Energy client and who has some very random type of data. Most of the user who have worked with the energy client know, what are the fields and type of data is there when they need a content management. "Complex API but does the work"
I like the face that yes it can be used to complete the work, but is very complex in terms of usage. The complex features that are available in the software, and it needs to be learned from their community. I would say go for the vendor support or else you will have to give lot of effort. Can not be disclosed , but we were able to complete it. "Nuxeo as a Content Management System in a Company"
We were able to easily implement workflows to improve different process in the company. We use it as a Content Management System to store documents and metadata in a very secure way allowing users to easily find the required information. The API allows to integrate Nuxeo with any other system. Sometime it's hard to find the required documentation. "The Best and Most Advanced Way to manage documents"
What I really like about the Nuxeo platform is how customizable every aspect is. Customizing your platform can get a little tricky, even with so much documentation online. Something that I would recommend to other companies considering to use Nuxeo is to have someone on staff who has programmed a document management server before to program it for you and be in charge of it. There is a huge learning curve for programming Nuxeo, but as long as that person keeps at it, it will be worth it in the end. "Incredibly powerful platform with a steep learning curve"
Very robust platform, everything is available through APIs, a DAM plus so much more. Workflows, metadata, document types, automation all pretty easy to do. Can do so much that the learning curve is pretty steep. While many things are pretty easy, actually changing the default look of the out-of-the-box DAM is not that easy. (Or maybe it is and I haven't found it in the learning process yet). Great company, plan on getting some training at the start, but after getting up to speed it's incredibly powerful. Very interesting platform for companies with their own development teams as well, since it's all built on the APIs. Connecting many different document types together, providing easier navigation and searching between them, plus easy searching and workflows. Basic work process is smoothed out, and we're getting information stored and calculated that used to be extremely difficult to find. Potentially saving clients from expensive lawsuits. It has a nuxeo studio where you can customize the object model , the views , the layouts which will be reflected in the platform and the user can upload multiple documents and you can retrieve the documents using the NXQL . The nuxeo studio is a paid software but platform is a freeware so there is a catch . If you want to customize the platform according to your needs you will need the buy the nuxeo studio. "A good software that can easily be set up !" Nuxeo can quickly be adapted to our need. Studio is very practical, and it is not necessary to be a Geeck to make it work and to obtain advanced features. The update are quickly made. Nuxeo is really here to help you. They help you to succed in your Nuxeo projects, so do not hesitate to contact them !!! We didn't had software to manage our documents, so we started "from scratch". "Its user friendly but has some jargans"
The interface and the flexibility that the studio can connect to any Nuxeo platform with ease. the workflow engine is based on JBPM (Java Business Process Management) and the use of workflows, involving users of the system is very simple. We have to export the jar and restart the server. The application is not having a developed support, or forum. "Pleasant and flexible content-focused app development platform"
The best part of Nuxeo is that even though it is open-source, programmatically extending and enhancing its capabilities do not require developers to fork or dig deeply into internals. It has a consistent and predictable extension and deployment process. Because of this architecture, add-ons are available for many common integrations and features, and it is straightforward for developers to create custom add-ons if no suitable ones are found. The (English) online documentation can be a bit scattershot; some portions are obsolete, and some documentation texts are obviously created by people who have lower mastery with English than might be needed. Our organization needs to manage the lifecycle and availability of many types of scholarly and instructional content. 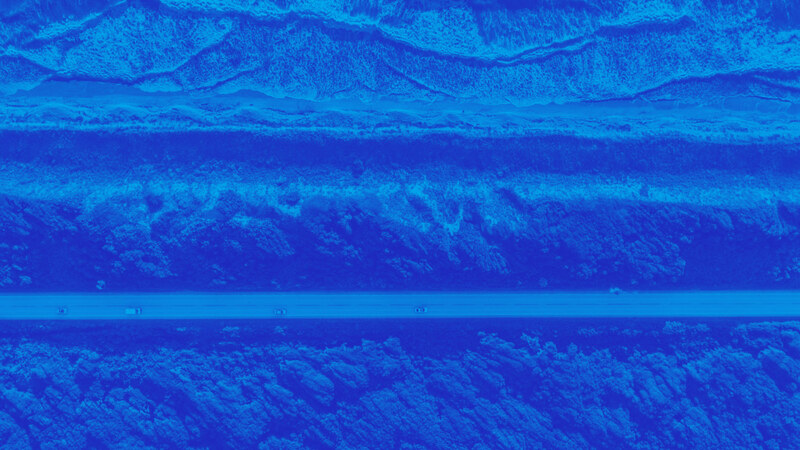 Using Nuxeo instead of reimplementing standard content and digital asset management features has saved us months of development time and has resulted in a more robust product. Hi Steven, thanks for writing a review! We're invested in the quality of our documentation, so we’re interested to know which pages are obsolete? Regarding the English, we strive to improve our writing, so if you could point us to the pages with issues, we’d be happy to review. We do our best to write our documentation so people from all backgrounds can easily understand it. "It has been a pleasure to work 4 years with Nuxeo." Flexibility, Modularity, and Maintenance are outstanding. I would like a low price for nuxeo product because sometimes i use for small companies who can not afford a big value. So for small medium size projects offer a limited version of studio because sometimes we do not utilize everything on nuxeo studio. Document, Case, Web Managements. Nuxeo is very adaptive. "The Beauty of Nuxeo Platform"
The main extension point for view (JSF and richfaces) still causes lost of performance and it is a old fashion. For me, talk about Nuxeo Platform is not something easy, mainly because I've done so many new things on top of Nuxeo on last five years that is hard to pick up one or two innovations to talk about. But after five years, I'm one that can say: The Nuxeo Platform is really reliable. We've got success from Brazilian Government to Private Banks for managing so many important content with velocity and security that others ECM big players haven't reached and they change their solutions to use ours that is Nuxeo Platform Based. We built things on Top of Nuxeo Platform that even the Nuxeo team could not believe it was possible. And it's possible only because of the powerful architecture of Nuxeo Platform, that is so extensible, flexible and well designed that is almost a pleasure develop on top. Well, the last five years has been a very nice time, achieving miracles in Content Management with Nuxeo Platform. "Great experience since 2011 with Nuxeo for replace an old stocking system for document." It is a tool to structure its storage space as if we were on our hard drive. This is a big advantage for users who can use the reflexes they already have on their pc. I can also create a new space for them very quickly. Rights management allows us to use our information system for users and groups. Some features are not implemented as archiving the first deposited version or the management right to share vocabularies , which may be blocking the development of applications within the platform. However, with the proposed api rest , these problems can be solved by developing "outside the box". We were able to get rid of an old file storage system for which we had no more support. Now, every time we have to store document in large quantities or share , we can offer a real solution, customizable to the specific needs of our users. We were using Xinet for our DAS, it was a disaster to use their API and to upgrade their system. But their is not problem at all for Nuxeo, it's very powerful software. Love it! Although it's very powerful, but it's a little slow to response. Powerful, better than Xinet forever, you will not think about it anymore. We are looking for a good DAS to store all of our products, can be shared all over the word, easy API to use. We have compared several softwares, found Nuxeo is what we want. "Nuxeo application and all these possibilities"
I like the idea to imagine a business need and be able to achieve easily with the Nuxeo Platform. All development concepts (OSGI, Extension Point) and Nuxeo Studio help quickly deploy new documents, edit the ergonomics of the interface. The strength of Nuxeo is the richness of documentation, the many media available (Webinar, NuxeoDoc) and the community around this product. There is not much to say about it. I just think that you need a developer profile to appreciate the Nuxeo Platform to its fair value ! First we centralize all documentary resources ours around Nuxeo and our intranet portal. This intranet portal contains news, videos, and office documents. The benefits of using Nuxeo is the unique source of documents, advanced search, collaboration with colleagues. "Neuxio review for my product"
Its admin feature which allows me to do all my work. The Nuxeo platform has strong technical capabilities and the product feature set is great. The platform is extensible and provides a feature rich set of APIs for integration. The account management has been poor at best. The pricing model has been completely changed with no communication to the client. Our account rep left and we were never notified and introduced to our new account rep. This only happened because an invoice showed up that we were expected to pay and we reached out for information. There was no proactive communication about the change in account management or the pricing model changes. We are a platinum customer also. We are centralizing our digital assets and improving the workflow automation around our digital asset process. Thank you for your feedback. We value your business and sincerely apologize for the account management issues you faced. We strive to provide exceptional customer service and technical support for new and existing clients. Unfortunately, there were some unexpected changes in 2016 that resulted in a communication gap with a few of our customers. These issues were brought to our attention and they have been addressed to prevent future account challenges. Please feel free to contact me directly if you have any questions or concerns about your account. "Makes document management a breeze"
Having used primarily Sharepoint in the past I found Nuxeo to have a easier to use interface as well as almost no issues in comparison. I found the versioning of documents and publishing to be much more intuitive. Biggest complaint comes from a system admin standpoint is that the LDAP plugin doesn't hash the password if you use Nuxeo to change passwords. This might be changed in the newer versions but right now if a user changed their password in Nuxeo it stores it in plaintext in the user's LDIF. rather than hashing it. I wouldn't definitely push the usage of Nuxeo over another alternative. I'm unsure of how easy it is to setup because it was done prior but ease of administration is very little on a day to day basis. Creates a place for many different projects and groups a place to collaborate at a huge cost differential to the Microsoft alternative. "This product is the current document management system at my organization, but we are transitioning." The simplicity of Nuxeo's interface makes interacting with the system very easy. Because there are not very many advanced functions (which can be seen as a detriment), there are not many opportunities to struggle with the program. The ability to assign access levels to each user that determine which folders they can and cannot read and/or edit is very beneficial for a large organization with many departments. Navigating through Nuxeo can be very clunky. With many of our organizational assets in complex file structures, it can be frustrating to click through the hierarchy to access the documents that you need. A side bar showing the compressed folder structure helps with this in some regards, but the user experience could definitely use more streamlining. When implementing a document management system in a large organization, it is essential that it be easy to incorporate the program into existing workflows. If working with the document management system takes people out of their established routines, they will resist, and that is something that I have seen first-hand with Nuxeo. The biggest detriment that I have experienced with this system is that you cannot view thumbnails at the folder level. Instead, you can only preview a document by clicking into the individual record, which is very inconvenient. Batch downloading the contents of a folder is also not possible, making it necessary to manually click download dozens, or even hundreds, of images at a time if you want to copy them to your desktop. If all you need is a simple document management system that will help you to feel confident in your file storage and the security of your back-up, then Nuxeo could be a solution for you. If you are looking for a dynamic file storage system that will encourage collaboration between departments and that your employees will be able to incorporate into their workflows, Nuxeo may not meet those needs if it is for a large organization. Nuxeo has been implemented at my place of employment to help with file sharing and project management between departments. To this end, Nuxeo facilitates file sharing, but the bulkiness of the program has led many employees to simply use our shared drive for file sharing. Nuxeo has been successful in that it provides a secure location for backing up and storing many large files of all types. Samantha, thanks for writing a review! We understand that you were working with an implementation of an older version of the Nuxeo Platform. We've invested a lot into our newest products and services that you may find more user friendly and intuitive. We invite you to download the latest version and try it out! Please feel free to contact us with any questions or comments. Thanks! "So much more then just a DAM!" Most objects in studio you can copy, except documents that you will need to manually recreate. vision turns into a reality. "New Generation tool for Developers"
Easy to understand, new tool for developers for future. User Friendly, easy to understand. best tool for developers.User Friendly, easy to understand. best tool for developers. It was good, Up to my knowledge, I don't see any drawbacks. "Nuxeo is a great platform to fill specific information managment needs"
"Nuxeo is an easy to use and great content management system "
Nuxeo provides one of the best layouts for a content management system that I've seen. I mainly use it for documentation organization for a project I'm working on, and the layout and ease of use of the Nuxeo platform makes it an ideal tool for me. I can easily direct coworkers to various documents is wonderful. I'm a huge supporter of the open source community, so the fact that Nuxeo is a part of this is a big plus for me. Really can't think of anything I don't like about it. Give it a try! If you are debating on if to set it up and getting it working in your environment, give it a try. I don't believe it will disappoint. We are providing support to a customer that requires thorough documentation to support installations at remote locations. The documentation is contributed to by many members on a team, so keeping document versions and a single source for live documents is key. Nuxeo has been a great source for this- it provides the organization that my team has needed. -- In Nuxeo you can customize the things as per your requirement. -- UI , Lifecycle, workflows, Object Model and so may things you can customize. There is little to say in dislikes. As it is open source and you can recommend this solution to your customers. This product is simple and light to use. I like the workflow very much. I feel the Nuxeo have a little slowly. we can share files to any agency in any part. "A complete management document soft"
The open source architecture and the flexibility of the soft. the multiple possibility to adapt nuxeo to match our objectives. the possibility to try the tool without installing a server version. The complexity of the management and the personalisation. it's need a development capability to personalise the applications. 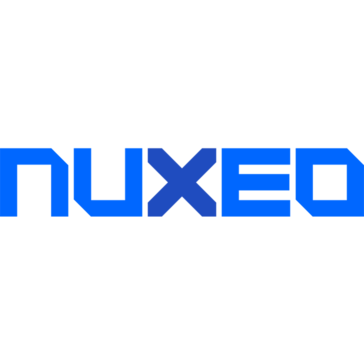 yes, i recommand Nuxeo if you have time and resources to develop application under Studio. At the moment, just the management of records (Pdf documents) and sharing document. Nuxeo is used as à document data centre. "This is what we call as ECM Tool"
The Configuration that we can do with the conf file. Nuxeo Studio needs some features to enabled that are present in Platform but not in Studio. Expertise of support team and nice understanding of problem. they have immediately asked for required files and resolved issue proactively. Stability of clustered environment is often breaking and JSF support for custom widget is very limited. "Nuxeo support responses very good. I can always get their help." The performance is a little slow. Better to have more advanced documents. It replaced our old software. * We monitor all Nuxeo Platform reviews to prevent fraudulent reviews and keep review quality high. We do not post reviews by company employees or direct competitors. Validated reviews require the user to submit a screenshot of the product containing their user ID, in order to verify a user is an actual user of the product. Hi there! Are you looking to implement a solution like Nuxeo?